CASSANDRA: We’re out of coffee. I could make you beef bouillon. store and get me some coffee? SONIA: The nearest store is 6 miles. The Wa Wa. MASHA: The Wa Wa? Like Helen Keller? MASHA: Oh God, no coffee. I can’t cope. Original Broadway Cast: Vanya and Sonia and Masha and Spike. In bucolic Bucks County, PA, Vanya and his sister Sonia have frittered their lives away living in the same farmhouse where they were raised. Their quiet existence of unease and regret, however, is rocked by the arrival of their glamorous movie star sister (and landlord) Masha, and her hunky boy toy, Spike. As their visit unfolds, a lifetime of sibling rivalry explodes into a weekend of comedic pyrotechnics. 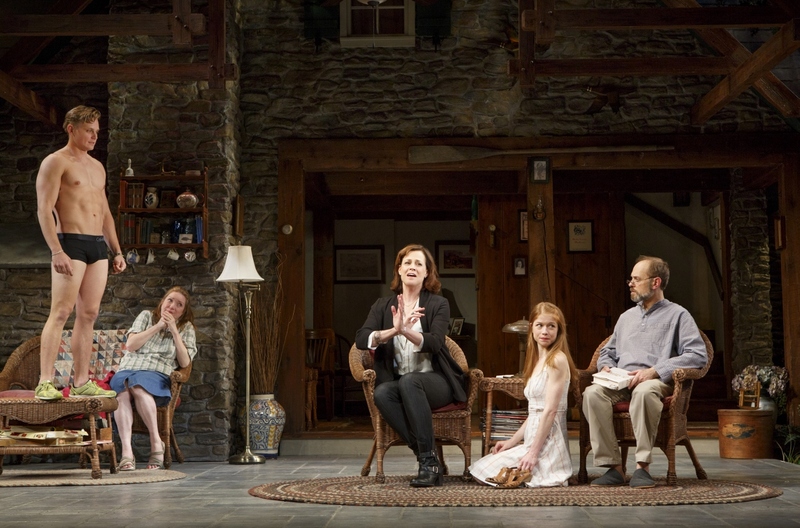 Acclaimed playwright Christopher Durang (The Marriage of Bette and Boo, Sister Mary Ignatius…, Center Stage’s My America) weaves Chekhovian themes and modern wit into an unforgettable experience critics have hailed as “a sublime state of hilarity” (New York Magazine). Vanya and Sonia and Masha and Spike is a co-production with Kansas City Repertory Theatre. VANYA: Nina, I thought I heard you down here. VANYA: Masha took it upstairs. She’s in the third floor bedroom. SPIKE: Oh, I’ll go see her. SPIKE: Okay, I won’t expect her to put out. Catch you later. Except for his personality, of course. For your tickets head to Center Stage online.